Other: several B-group vitamins, mucilage and tannin. Used For: The remedy is reported to induce urination and help fight urinary infections. Buchu helps reduce bloating induced by Premenstrual Syndrome. The herb can be helpful in congenital heart failure and elevated arterial tension, but you should speak to your health-care provider before using it, as these diseases should be addressed seriously. There is still no evidence concerning buchu’s ability to treat urinary infections, but the herb is still believed to be helpful in this case. Buchu is considered to be effective in the wide majority of urinary or genital infections, like prostatitis, urethritis, and cystitis. Its calming and curing ability is the reason why the herb is combined with other medicines to help heal urinary infections, particularly those accompanied with dysuria. However, the oil presence may be harmful for individuals who have once suffered from a severe kidney condition. 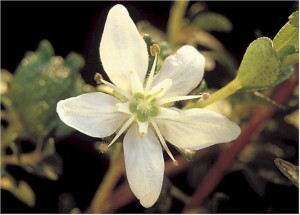 Buchu is applied in herbal medicine due to its healing capacity with regard to urinary infections. It is helpful in painful urination, dropsy, bladder inflammations, and water retention. Additional Info: The remedy is indigenous to South Africa. The plant grows as a bush, and its leaves produce oil which is responsible for the diuretic action this herb takes. When Dutch colonists landed in South Africa in the XVII century, they learnt about the herb’s capacity from the residents, and start using it for muscle pains, cholera, arthritis, kidney stones, and urinary infections. Later on the herb gained such popularity that it was employed for a wide range of diseases, and nearly considered to be a cure-all. Preparation and Intake: To make an infusion, take 1-2 teaspoons of leaf extract and fill it up with a cup of boiling water. Steep it for 10 minutes. The result is taken thrice per day. In form of tincture the remedy is used in a quantity of 1-2 ml thrice a day. Commonly mixed with: To relieve symptoms of cystitis Buchu is combined with Couchgrass, Yarrow or Bearberry, while for dysuria it’s applied together with Marshmallow and Corn Silk. Safety: Buchu leaves should not be boiled. Diuretic remedies may lead to lack of potassium, which is an essential nutritional substance. Using Buchu, enhance your potassium intake by eating more products rich in potassium like fresh vegetables, bananas, and so on. In case of pregnancy speak to your health-care provider before using the plant. According to FDA reports, herb is safe to administer if used according to medical directions. No side effects are registered. If you suffered from diarrhea or stomach pains when using the plant, quit taking it and speak to your physician.